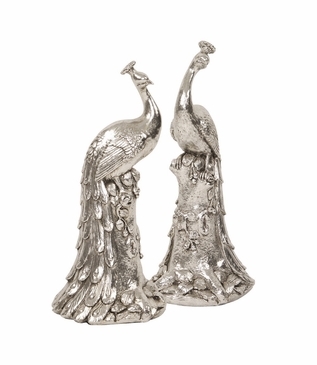 These fancy peacocks perch with their elaborate, realistically detailed tails draping down. 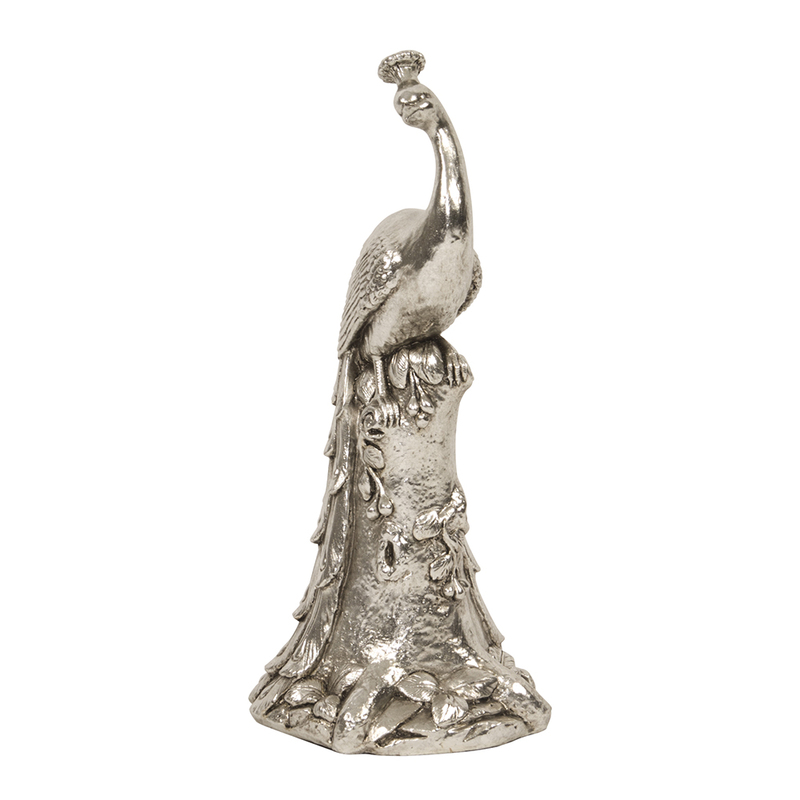 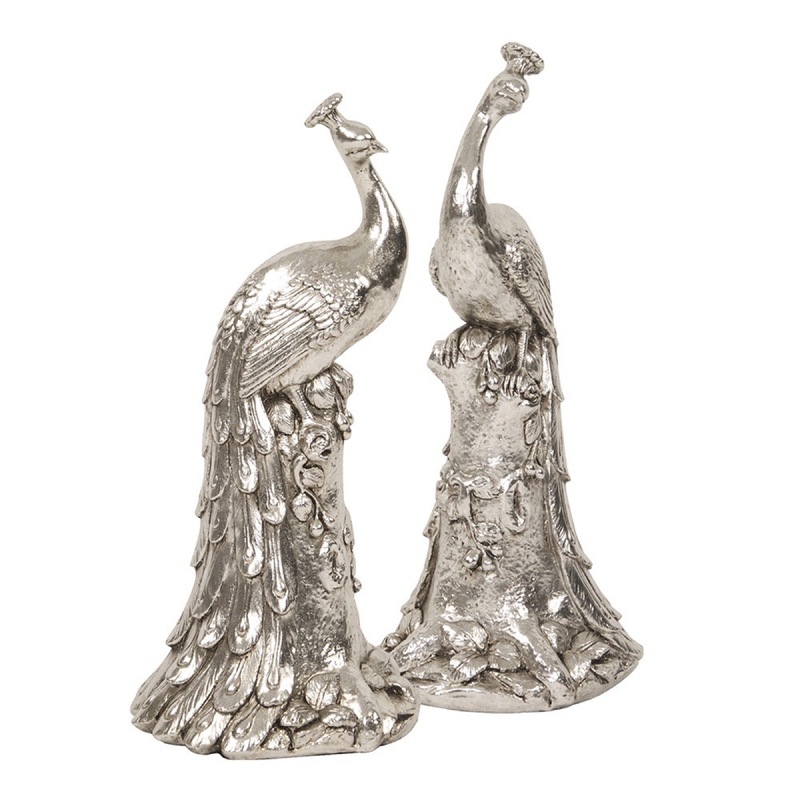 With each bird facing the opposite direction, this tall set is perfect to flank a mantle or stand guard on a console in an entry way. 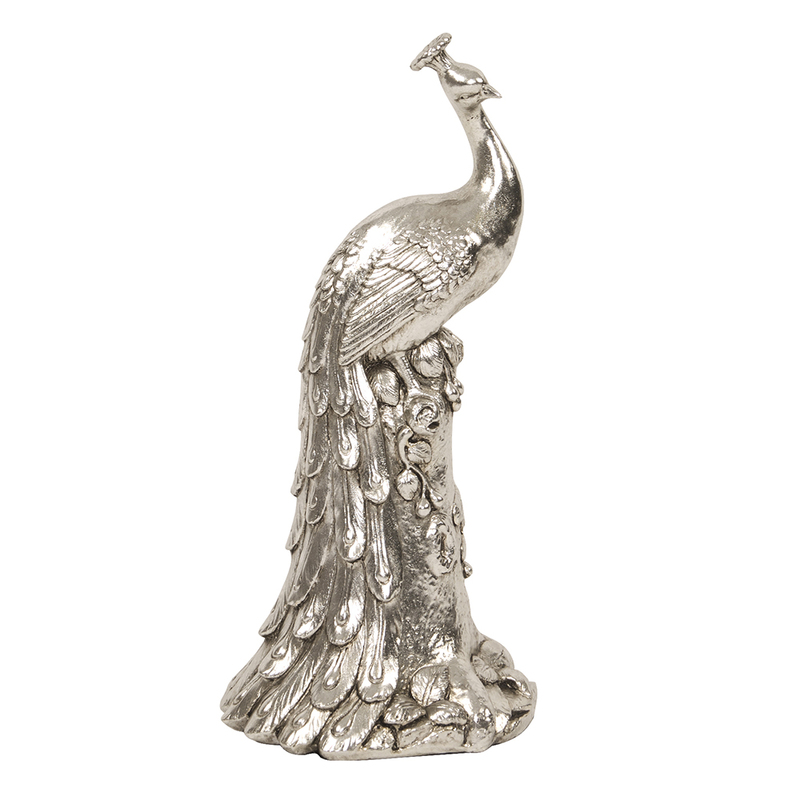 Fnished in a shiny silver with base padding so as not to damage surfaces.